Last week in our Book/Bible study we were talking about The Sermon on the Mount. Our study started late as church had started late and ran over extra time and there is of course the Coffee Hour/Fellowship time that we participate in. It used to be that the Priest was very focused on starting and ending on time but as the congregation has grown it seems church takes a little longer and that’s quite all right. Because our study started….. When I was younger I remember hearing a Christmas Hymn, (#84) in ‘The Hymnal” 1982 It’s a beautiful Hymn that sings of Love being born at Christmas. I would like to share this video with you about one of the songs I was inspired with many years ago. We’ve been singing it every week at the beginning of our book/bible study in our small group. Of course – the words aren’t mine, they are a summarization of the two commandments. ….. 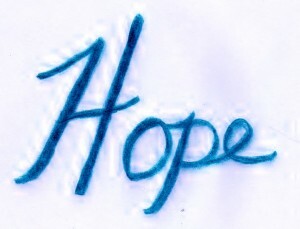 In a recent book/bible study I led I suggested to the group meeting that we write our own personal confessions of hope. We have the creeds in our church and on that particular Sunday we had not recited the…..